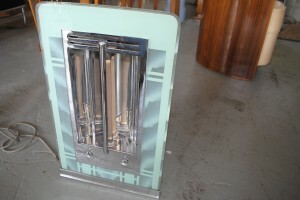 Original art deco electric fire with pale green glass surround. 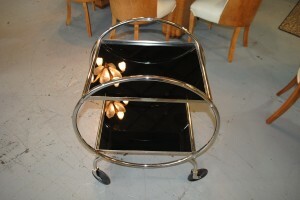 An original art deco electric fire that also lights up the fabulous pale green glass surround. For more details please call 01257 473688. 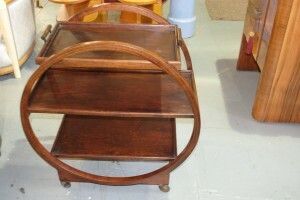 An original art deco tea trolley with two removable upper tier trays, a very nice period piece. 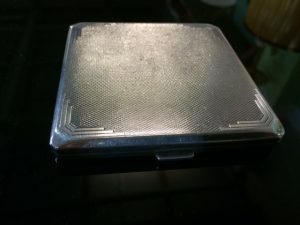 An original art deco solid silver hallmarked cigarette case. For more details please call 01257 473688. Here we have a very nice heavy pair of book ends. 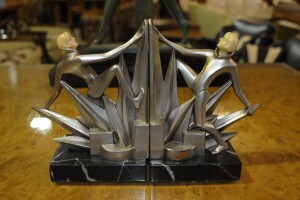 Very Art Deco in style design and in great original condition. Cold painted spelter figures with ivorine heads and a marble base. 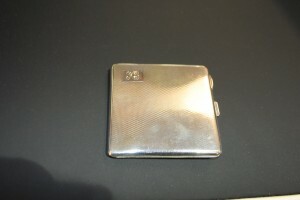 Solid silver hallmarked cigarette case in beautiful condition. Art deco geometric designs to each corner and repeated on both sides.Snap close function works great. 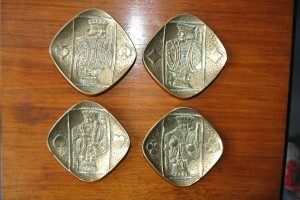 Could be used as a business card holder, very stylish and very well made. Birmingham 1933. Lovely gift for a special someone. 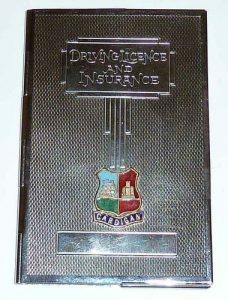 This original art deco chrome plated driving licence / insurance case with enamel ‘CARDIGAN’ plaque is really nice. It is stamped PAT 737844. 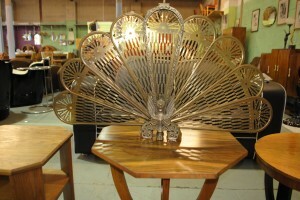 All great pieces for collectors or as a gift. 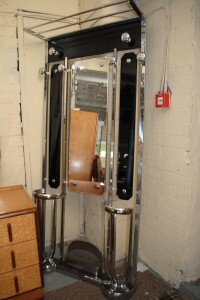 For more detail please call 01257 473688.